Can you imagine spending over 4 years in daily training, only to have your Olympic career decided in less than 15 minutes? 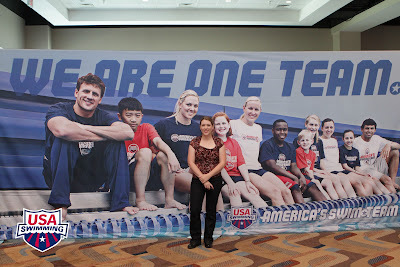 This is what happened for a handful of hopefuls last Monday during the swim trials in Omaha, NE. 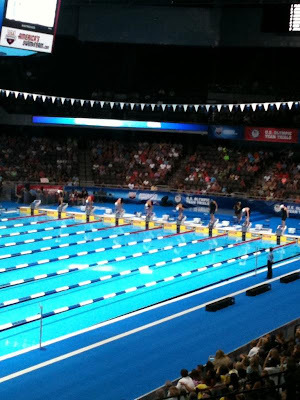 I witnessed an amazing event as women and women competed in the 50m and 1500m freestyle to earn their place on the US Olympic Swim Team. The girls at the ready. 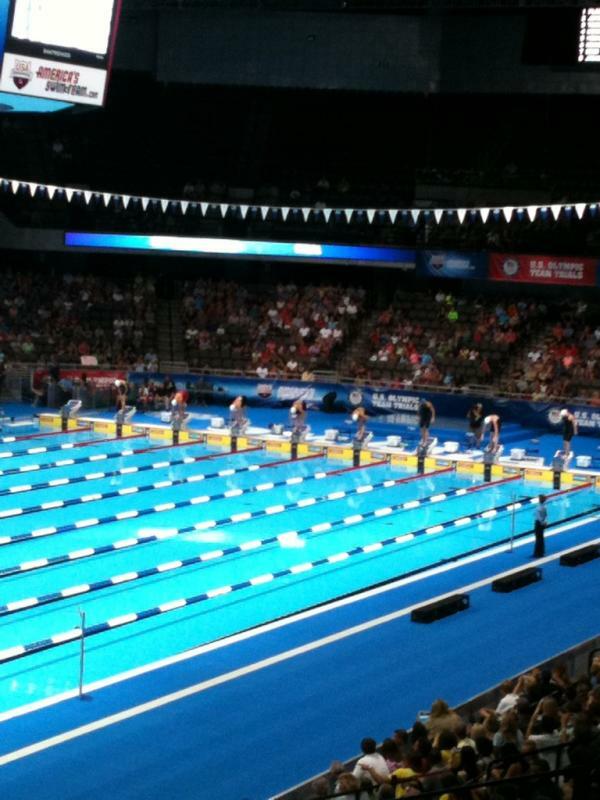 Men preparing for the 1500m freestyle competition. 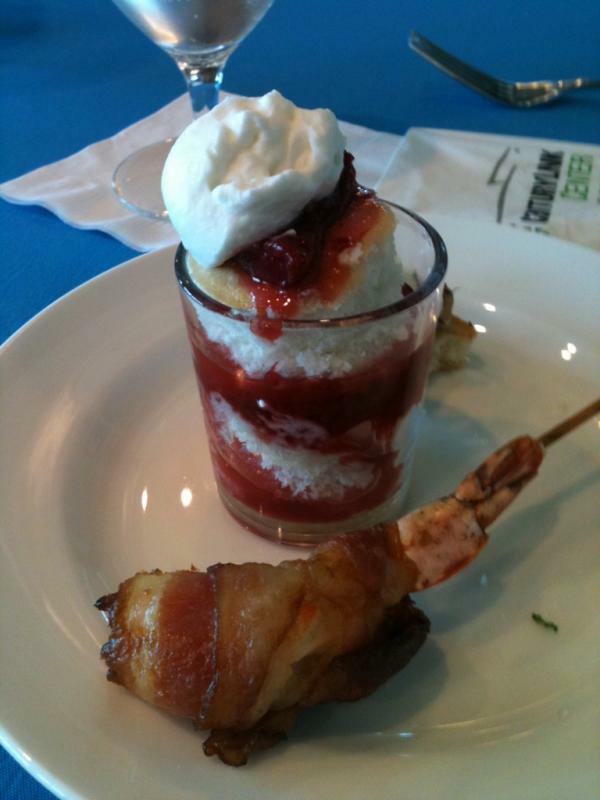 VIP Treats: Giant Prawn and Strawberry Shortcake! One thing that struck me as amazing was how emotional the whole experience was. Both the athletes and audience were tearful at their victories (and the losses.) When the torches lit up after each trial, I could feel the warmth from where I was sitting! This was such an awesome opportunity and one of the rare perks that I get from living in Nebraska (where, let's face it, we don't have big theme parks or movie premieres.) 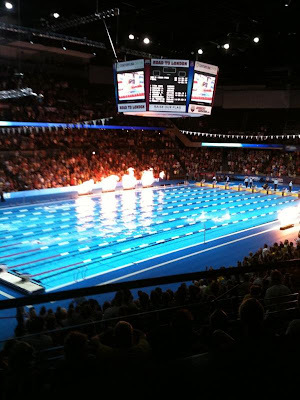 With the event less than an hour from my very rural farm home, it was a super way to spend my birthday this year, and an eye-opening look at the dedication and inspiration that are displayed at each Olympic trial event. 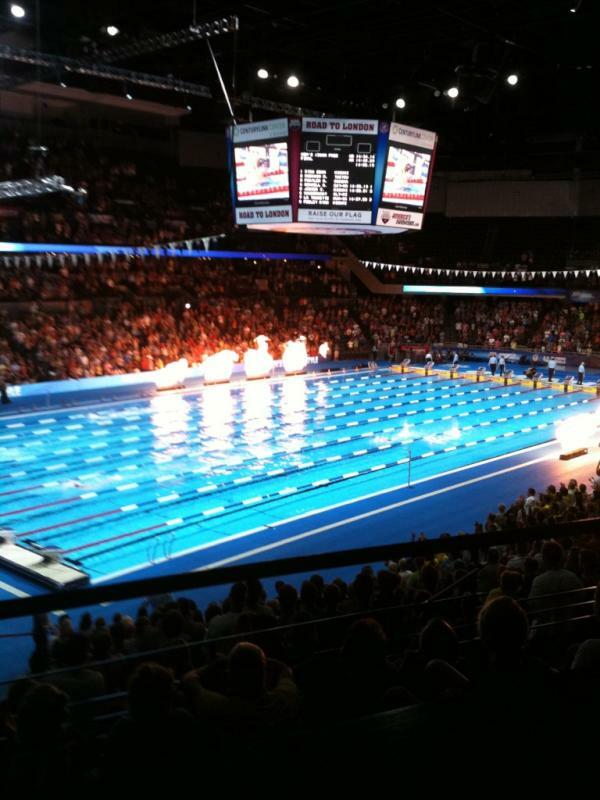 Will you be following the Olympics this year? What about the swimming portion? *I want to give a big thank you to The Motherhood and USA Swimming for providing me with this opportunity to share the heart behind the Olympic Swim trials!. I was provided with admission to the event, as well as accommodations. Opinions are 100% my own.